Good environmental conditions, that is, steady levels of temperature and relative humidity within defined parameters, are desirable for the preservation of museum objects. Although temperature levels are important, it is the relative humidity (RH), or the level of moisture in the air, that is usually of most concern. If the RH is too high, then objects made from organic materials such as wood, leather, bone, ivory, or parchment can swell, mould growth can take hold, and corrosion can start on metal surfaces. If the RH is too low, then these materials can shrink, and objects made from more than one material can suffer damage from uneven stresses of expansion and contraction. It is also important that levels of temperature and relative humidity fluctuate as little as possible, as it is the rapid changes in conditions that are mainly responsible for causing the damage. Environmental conditions are monitored, and if they start to fall outside acceptable parameters, then we look to taking whatever action is appropriate to bring the environment back on track. 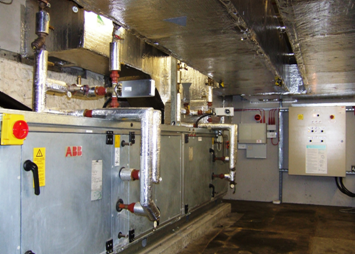 It maybe that there is a mechanical fault, which then requires the Building Services Team to engage contractors to correct any problems with the air handling equipment. A plant room that generates conditioned air for one of the Norwich Castle Museum’s display areas. It is important to keep the conditioned air inside the gallery for which it was intended, and that means trying to make sure that everybody closes the gallery doors behind them. This also has a direct impact on annual energy costs for the building. 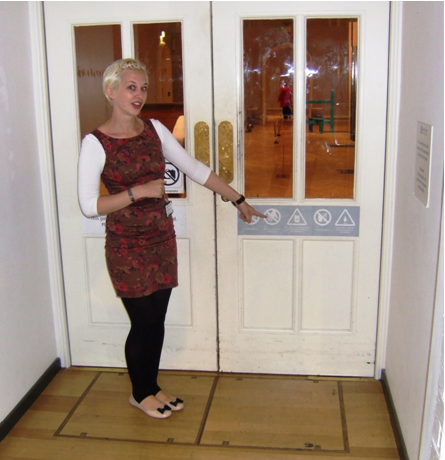 One of the new signs at the entrance to the Norwich Castle art galleries, which includes a request to keep the gallery doors closed. 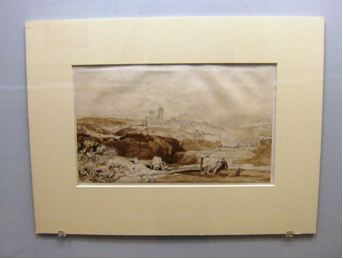 When we request objects on loan from other institutions for an exhibition, evidence of good environmental conditions normally have to be provided. This involves providing environmental data to show that the temperature and relative humidity levels are acceptable. How do we monitor the RH and temperature? We monitor the environmental conditions in the galleries using a networked telemetric monitoring system, supplied by a company called Hanwell. 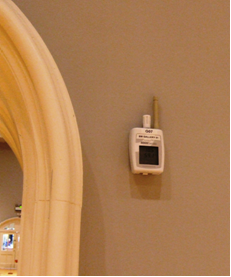 This system involves digital sensors in the gallery spaces that take a reading at regular intervals i.e. every five minutes, and then sends the information back to a receiving station nearby. The receiving station, or ‘smart receiver ‘, then puts the correlated data onto the local area network, and we collect it and interpret it on a computer in the conservation department. One of our new Hanwell telemetric sensors on the wall of a gallery. Because the system is networked, we can see environmental data from all the museum sites in the service which are on the system. 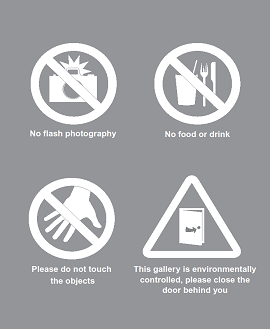 Please help control the environment and close the gallery doors where you see the signs!